The American Jewish Publication Society held its annual meeting on the second Sunday in Cheshvan, and elected the following officers:—Abraham Hart, President; Abraham S. Wolf and Joseph Newhouse, Vice-Presidents; J. L. Moss, Treasurer; Alfred T. Jones, Recording Secretary; Solomon Solis, Corresponding Secretary and Hyman Gratz, Isaac J. Phillips, Isaac Leeser, Elias P. Levy, Moses A. Dropsie, and David H. Solis, Managers. The Publication Committee reported that, owing to the lowness of the funds, they had issued but one number of the Jewish Miscellany last year, namely, No. XIV., or the concluding portion of the Path of Israel. The Society nevertheless resolved to continue its organization; and to persevere in the course commenced, to issue gradually such books as cannot fail to be useful to the Jewish community, in the full hope that those for whose interest it labours will not allow it to lack the means of being useful. May we ask our various ministers and elders of congregations to take the matter in hand, and to exert themselves to procure subscribers and to sell the works already published? 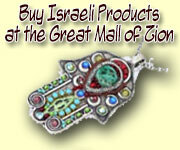 We would merely state, at the same time, that on application to our President, they will be supplied with the works already issued, which are, Caleb Asher, Hebrew Tales, The Prophet’s Daughter, The Life of Mendelssohn, The Path of Israel, (in 3 numbers,) Days of Old, Rachel Levy, The Jews and their Religion, The Perez Family, Patriarchal Times, and The Spirit of Judaism. The whole of these will be sent out for three dollars, with a large discount if taken in quantities, so as to make them all easily accessible to schools. Will our friends think of this? We assure them the subject is of greater importance than they perhaps think; for in the above they will find a body of good reading not accessible in any other shape; and then it would be a disgrace if it should at length appear that the Jews in America, who do so much for charity, could not support a society at the cost to each of one dollar per year, the intention of which is to furnish food for the minds of not the poor only, but the rich likewise. Let, therefore, all interested (and who is not?) see to it, that the treasury of this laudable institution be filled to overflowing, and we assure them that all their benefits shall return to them in the shape of useful books. Ladies’ Benevolent Society of Philadelphia.—This excellent charity elected, as usual, its officers on the first Wednesday in November, (the 7th,) and the former Board was re-elected, with the exception of Miss Louisa B. Hart in place of the venerable Mrs. Esther Hart, who<<475>> retired on account of her age not permitting her to take as active a part as she deems it requisite a manager of a charity should bring to the fulfillment of the good work. The ladies expressed all deep regret at parting with so useful and intelligent an associate, with whom they had consulted for more than twenty-five years, and who retains her vigour of intellect, though eighty winters have left their indelible impression upon a constitution of body and mind always vigorous, and still as active as the advance of years could be expected to permit.—At the organization of the Board, Mrs. R[ichea] Hays was elected First Directress; Mrs. Abraham Hart, Second Directress; Mrs. Anna Allen, Treasurer; and Miss [Rebecca] Gratz, Secretary. We are disappointed in not having as yet received the annual report, but hope to present it in our next. The Society of Mercy and Truth of Philadelphia, at its last annual election, chose the following officers:—Henry Marcus, President; Solomon Levi, Vice-President; Moses M. Engel, Treasurer; David A. Phillips, Secretary and Messenger; Michael Asher, Isaac Myers, Jacob Pagel, and Elias S. Linsé, Managers; Dr. Philip De Young, Physician; and Drs. Kilduff and Johns, Apothecaries. The Society consists of forty-two members, and has a permanent fund of 450 dollars. Weekly allowances have been given to members for twenty-four weeks’ sickness and for seven weeks of mourning, during the past year. Hebra Terumath Hakodesh, New York.—This charity, the object of which is the relief of the poor of Palestine, received, by a late packet from Europe, acknowledgment of funds sent out for the relief of the poor of Jerusalem, Tiberias, and Zafed. The money was forwarded by the venerable I. B. Kursheedt, Mr. Solomon J. Isaacs, and Mr. Simeon Abrahams, through the hands of the learned and pious. Rabbi Hirsh Lehren, of Amsterdam. The letter containing the receipt bears date of 25th of Elul, 5609, (12th Sept. ‘49.) The money was collected chiefly by the founder of the society, whose principal object in establishing it was to prevent those who may be willing to contribute for the support of the poor of the Holy Land from being imposed upon by unauthorized messengers, such as formerly came over from time to time. Baltimore.—We are requested to announce that the Lloyd Street congregation elected, on the 3d of October, the Rev. H. Hochheimer as preacher. We give in our present number his initiation sermon, which will give our readers an opportunity of judging of his manner and style; and we think that they will be gratified with its perusal. From his introductory remarks, we should conclude that Mr. H. is a young man, <<476>>but lately arrived from Germany. We have no personal acquaintance with him. The sermon was delivered in German, and translated by the editor. The New York Henry Street Congregation have elected the Rev. Mr. Sternberger, lately arrived from Warsaw, as chief Hazan, the late incumbent officiating as his assistant. The Netherland Congregation Of New York have re-elected the Rev. Simon C. Noot. The Rev. Dr. Raphall arrived at New York on Sunday, the 28th of October; he has been received by all Israelites of that city with marked attention. The first Sabbath after his arrival, he preached in the Elm Street Synagogue, over which Mr. Abraham Mitchell is president, and on Sabbath תולדות he preached in the Portuguese Synagogue. We learn also that he has been invited to address the people in Mr. Isaacs’ Synagogue in Wooster Street; and thus far the Israelites of our sister city have honoured themselves in honouring this distinguished stranger, who on his departure from England was highly complimented by his own congregation and the authorities of Birmingham, who both waited upon him with appropriate presents and still more suitable addresses. If our space permitted us, we would give the details which have reached us in the London Jewish Chronicle at length; but this not being the case, we must be content with this brief allusion. We believe that we may announce that the learned gentleman intends to deliver his lectures on Hebrew poetry, &c., which have won him such a reputation in England, at least in New York; and that it is not improbable, so says report, that he will be permanently retained in this country. We will give particulars when they reach us in an official shape. Mr. Nathan Oettinger, who has for some time advertised his ability as a writer in our magazine, has just finished, by our order, for Mr. Judah Touro, of New Orleans, a handsome Sepher of a medium size; twenty inches in height. The letters are clear and distinct, and we have seldom seen a manuscript better calculated for public reading. We hope that he may be farther encouraged to employ his time in multiplying copies of the word of God. The work has been revised by Rabbi C. Nussbaum, who certifies to its correctness. The Rev. Mr. Noot, and Mr. Gabriel Micheler, arc also engaged in similar labours, and we are pleased that at length there are men in this country who are able to furnish us with good copies or the law, so that in future the Synagogues will not have to send to Europe for the sacred word to be used in public worship. We invite the especial attention of our American readers to this subject. Richmond.—We hear that Mr. Julius Eckman has arrived, and will have no doubt entered, before this, on the discharge of his duties. We shall probably hear more particulars concerning him before our next. Shearith Israel Congregation of Charleston.—We learn that on Sunday, the 11th of November, Rabbi Aaron Selig, the missionary from Jerusalem, was present at a meeting of this congregation, and having presented the claims of the poor of the Holy Land, the members resolved to contribute each one dollar per annum for the relief of all the poor, both of the Ashkenazim and Sephardim. We rejoice at this resolve, and hope that all other Jewish communities will follow the example, and thus preclude the necessity of the Palestinian Jews sending out, in future especial messengers to make appeals for them to the Israelites abroad. Fixed annual contributions, we repeat, are the proper mode of giving permanent relief, in relieving the people there from the great distress under which they labour. Beth Elohim Congregation of Charleston.—We are requested to invite attention to the advertisement which appears in our Advertiser, in respect to the vacancy in the ministry of that community. The gentleman lately expected, accepted office in Germany, and hence the renewed application for candidates. The programme being so ample, there can be no mistake as to the requirements called for, and we presume that there will be many candidates so soon as the knowledge of the vacancy reaches Europe. Will the papers abroad notice this subject? Token of Respect to Rev. J. K. Gutheim, at Cincinnati.—We are truly pleased to be able to chronicle that the friends of Mr. Gutheim, on his retiring from office, did not content themselves with their good wishes merely. They resolved “to honour to whom honour is due,” and on the evening of the 8th day of Tabernacles, they presented him with a silver goblet about twelve inches in height, neatly chased, and bearing the following inscription: “Presented to the Rev. J. K. Gutheim, as a token of esteem by his friends, for the able manner in which he performed his duty as minister of the Congregation Bnai Jeshurun; October 7th, 1849, 5610 ליל שמיני חג העצרת.” The committee under whose superintendence this mark of esteem was made, consisted of Messrs. Henry Mack, M. Fishell, L. Goldsmith, Isaac E. Hackenburg, and Benjamin Simon. The presentation took place at a supper, got up in honour of the occasion, and which was attended by a select party of ladies and gentlemen. Everything passed off to the satisfaction of all; and after the cloth was cleared, Mr. Mack pre<<478>>sented the goblet on behalf of the committee, and made an address in German, to which Mr. Gutheim responded in the same language, (he is equally ready in his native and adopted languages,) in a most effec­tive speech, abounding in the purest sentiments. Sundry toasts were also subsequently offered, and various addresses were made, in both English and German during the course of the evening, by several gen­tlemen, among others, Mr. Solomon Friedman, the president of the congregation Bnai Jeshurun, Mr. Gutheim, Mr. Hackenburg, Dr. H. M. Cohen, Mr. Seixas Solomon, &c. For our part, we have to thank the company for having honoured us with their remembrance, and as we were not present in person to return our acknowledgment, we beg them to receive this in lieu of an address, not the less sincere though it is so brief. In conclusion, grace was said; and the company dispersed after having spent a pleasant evening, such as seldom enlivens the dull routine of life. The Bnai Jeshurun Congregation of Cincinnati have in successful operation an excellent Hebrew, German, and English school, the first under the tuition of Mr. Freund, who is represented to us as an intelli­gent gentleman from Berlin, and the English department under Mr. John Long. The officers of the congregation for the present year are: Solo­mon Friedman, President; Abm. Aub, Vice-President; Jos. H. Heinsheimer, Treasurer; Max Fechheimer, Secretary; Henry Mack, L. Goldsmith. M. Sulzbacher, and B. Frankel, Trustees. Lafayette City, Louisiana.—A letter before us says: “The Israelites of this place have added one more place of worship dedicated to the Supreme Ruler of the universe, the Great and Holy One of Jacob, under the name and style of Dover Tof, (Dabar Tob.) It is to be hoped that our march is onward. Although our number here is at present but small, we have a fair prospect of increase. We have rented temporarily only a house for a place of worship. We number about forty families, who were formerly compelled to attend Synagogue in New Orleans, at a distance of about two miles from the centre of Lafayette.” They talk already of buying a piece of ground to erect thereon a permanent Synagogue. On Sunday the 4th of November, the following gentlemen were elected officers for the balance of the year 5610: Abraham de Young, President; Jacob Meyer, Vice-President; H. Asher, Benjamin Goldenburg, and B. Frank, Trustees; N. Gunsburger, Treasurer; and, Julius Layn, Secretary. They have adopted the German Minhag. New Orleans.—Congregation Shaaray Chesed. At the last election the following gentlemen were elected officers to serve during <<479>>the current year. Isaac Hart, President; John Marks, Vice-President; L. Goldsmith, Treasurer; Joseph Turner, Charles Emanuel, and N. Worms, Trustees; and M. Kursheedt, Secretary. We learn from a reliable source that there is a strong awakening to religion in this congregation, and we trust that the blessed fruits of this movement will soon be made apparent. The Rev. Moses N. Nathan will, as we learn, in all probability assume before long the ministry of the Portuguese congregation in New Orleans, and sure we are that one more able of doing efficient service could hardly have been found among our ministers. St. Louis.—We have received a communication from Mr. Henry Myers, secretary of the United Hebrew Congregation of St. Louis, which states that the increase of the Israelites belonging to their body has been very great, even beyond the most sanguine expectations, within the last twelve months. During the last holy-days, the Synagogue was crowded almost to suffocation, not less than from five to six hundred persons being present, whereas, but a few years back, they could count scarcely more than about fifty or sixty. They have been likewise fortunate in engaging the services of the Rev. Nathan Davidson, who acts both as Hazan and Shochet, a fact which renders his labours more than usually arduous. Mr. Myers speaks of his capacity in the highest terms, and having witnessed the service at London and New York, thus having no mean standard of comparison, he avers that Mr. Davidson’s manner is not surpassed even there; and he informs us accordingly that every one left the house of prayer perfectly satisfied with what he had heard and seen. 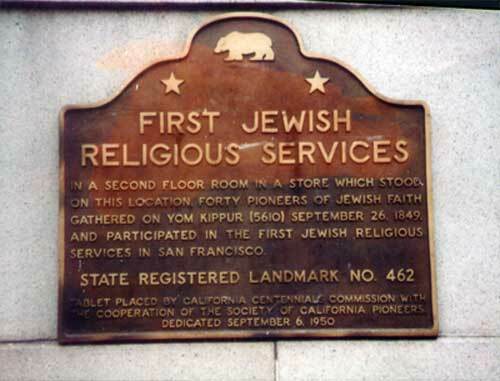 There is also, as Mr. Myers writes us, a German Synagogue in St. Louis, which will soon become an important body, since there is a constant increase in the Jewish population. They have also two benevolent societies in a flourishing condition, and they talk about orga­nizing another one; we are promised the details of its progress. All these facts speak for themselves, that there is great cause for hope, and little ground for despair of our progress in the United States. Montreal.—At the last annual election, the following officers were chosen: Samuel Benjamin, President; G. Ascher, Parnass; Myer Solomons, Treasurer; Dr. A. H. David and David Moss, Trustees; and Gershom Joseph, Secretary. The Rev. Abm. de Sola has also been re-elected Hazan for three years, without asking of him to stay out the period of this engagement; at the same time he was informed that the congregation regretted their inability to remunerate him according to his merits. Such a flattering testimonial is creditable both to minister and <<480>>people, and we doubt not but that their connexion will prove agreeable and useful to both. 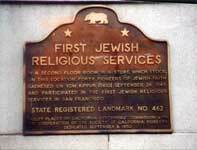 San Francisco, California.—Yet another new congregation! there where the Pacific bathes the western shore of America, have for the first time ascended on high hymns of praise to the God of Israel; and there where formerly no Jew could dwell under the rule of the abominable Inquisition, the Lord One has been invoked in the assembly of the faithful. We could say much were we to follow our feeling, but we forbear, and only give the following extract from a letter from Mr. Morris Samuel to his brother in Philadelphia. Indeed comment is needless. San Francisco, September 22d, 1849. Died at Montreal, Canada East, on Tuesday, 16th October last, Sarah Harriet, the beloved wife of Benjamin Hart, Esq., of the same city, aged sixty-three years. * * * “If we are desirous ‘to give of the fruit of her hands’ to a ‘virtuous woman,’ like of whom Solomon speaks; if we would duly observe this injunction of the wise king: then we cannot but sorrowfully remark that ‘a virtuous woman’ has indeed departed from us; and that in regretting her, we regret one who, in the discharge of her various duties as Israelite, mother, wife, and friend, few could excel; one, who suffered not the pleasures and vain frivolities of the world to obliterate entirely from her mind the requirements of her faith; one who, fondly beloved by her husband and children, and esteemed and admired by a large circle of friends, cannot but be missed and lamented by them; one who was the kind and liberal friend of the poor; one who, as she never cherished enmity or ill-will against her neighbour, has gone to her last resting-place, disliked by none, but esteemed and regretted by all.”—Extract from Rev. Abm. De Sola’s sermon.